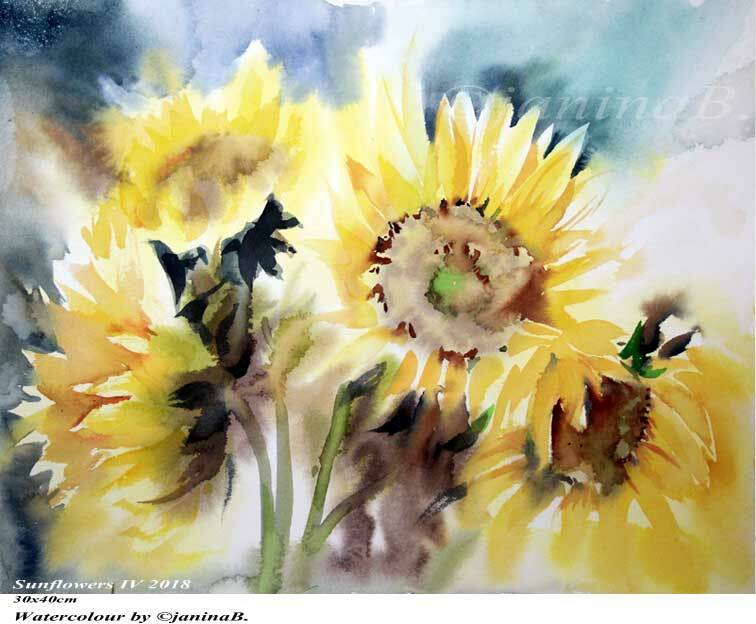 Sunflowers IV 2018 / 30x40cm Watercolour by ©janinaB. 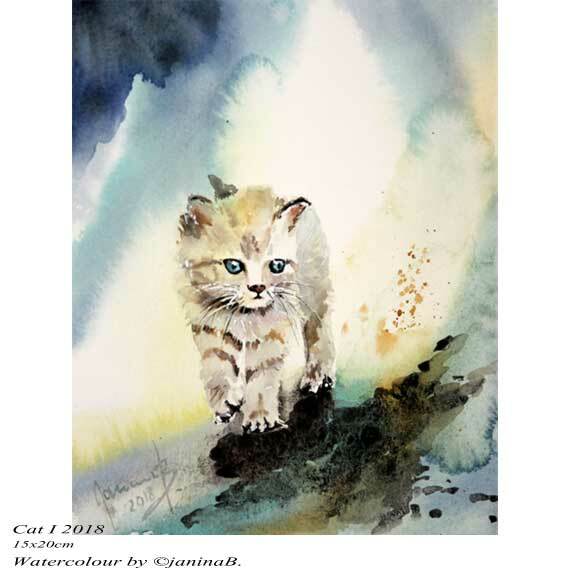 Cat I 2018 / 15x20cm / Watercolour by ©janinaB. 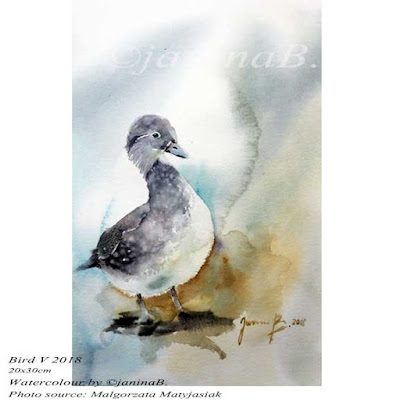 Bird VI 2018 / 15x20cm / Watercolour by ©janinaB. Bird V 2018 / 20x30cm / Watercolour by ©janinaB. 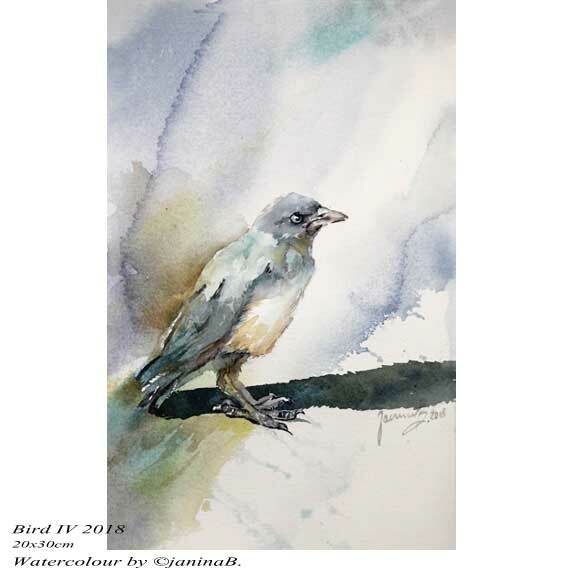 Bird IV 2018 / 20x30cm / Watercolour by ©janinaB. 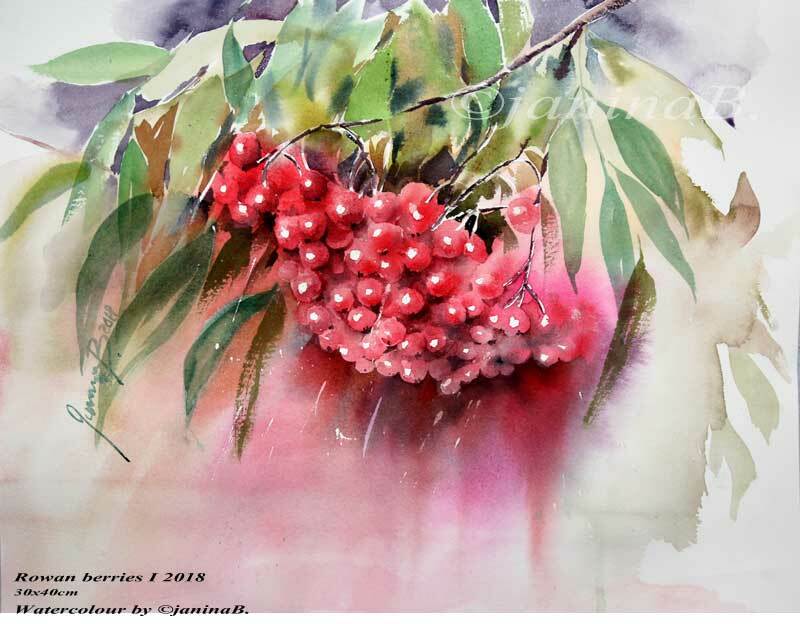 Rowan berries I 2018 / 30x40cm / Watercolour by ©janinaB. 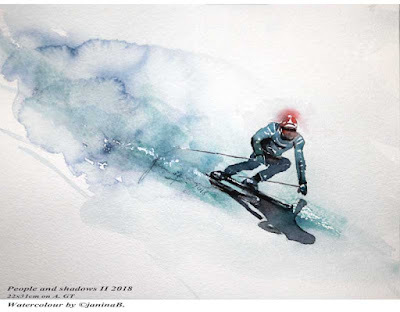 People and shadows II 2018 / 22x31cm / Watercolour by ©janinaB. 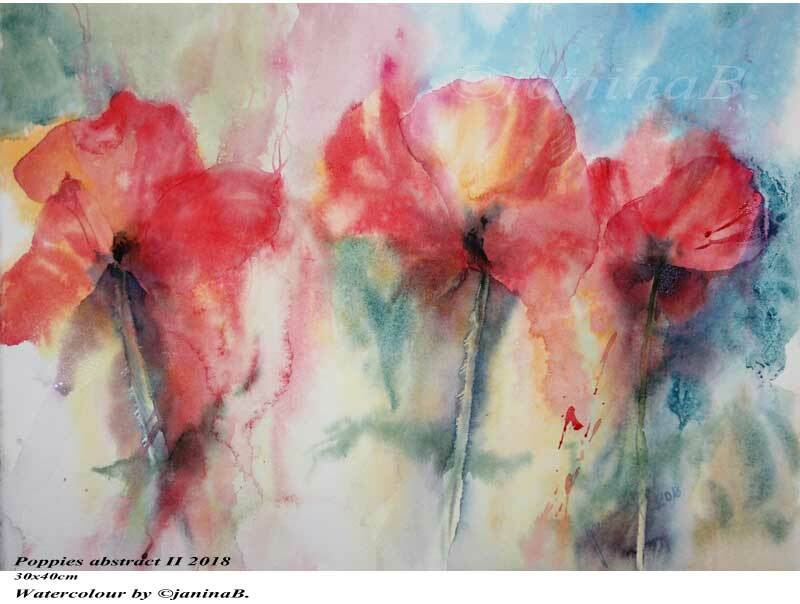 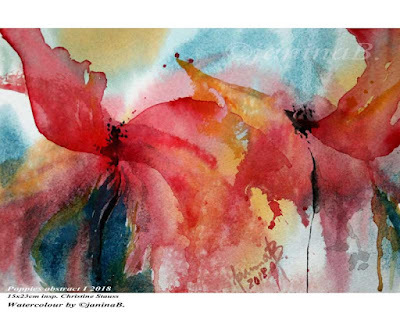 Poppies abstract II 2018 / 30x40cm Watercolour by ©janinaB. Poppies abstract I 2018 / 15x23cm / Watercolour by ©janinaB. 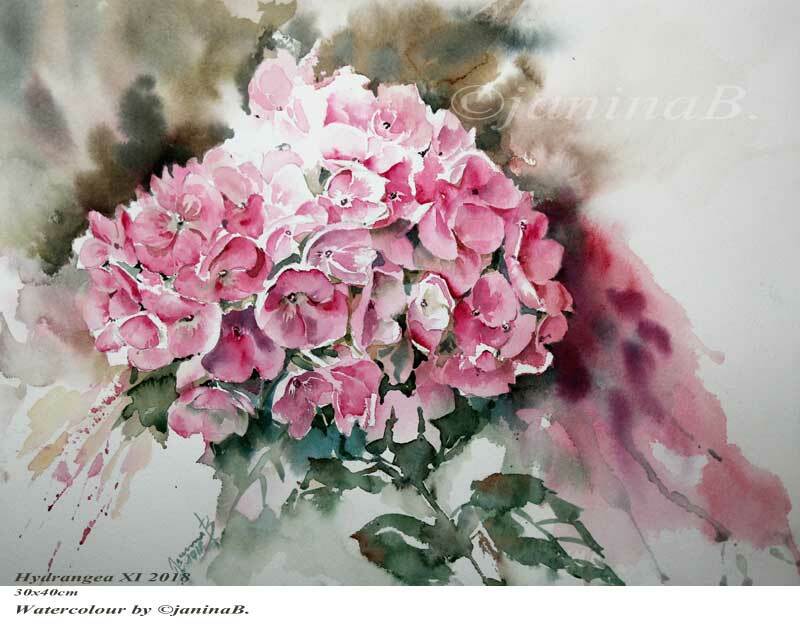 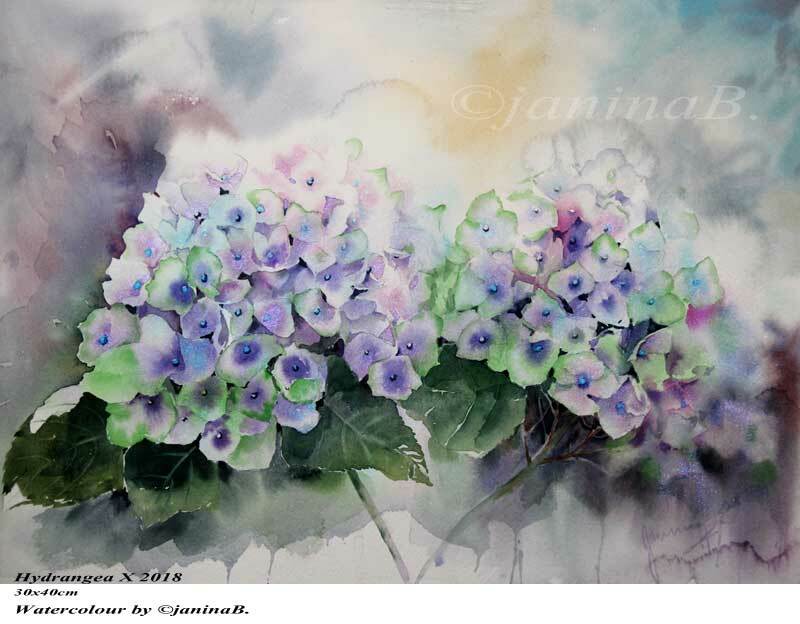 Hydrangea XI 2018 / 30x40cm / Watercolour by ©janinaB. 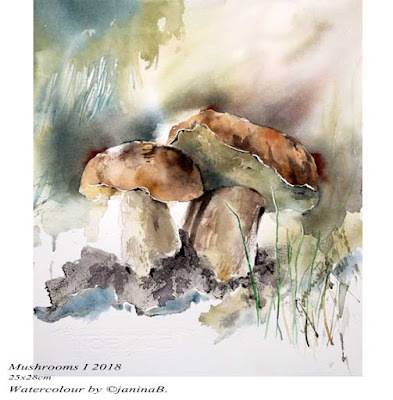 Mushrooms I 2018 / 25x28cm / Watercolour by ©janinaB. 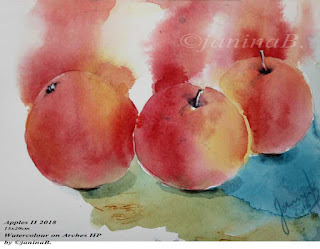 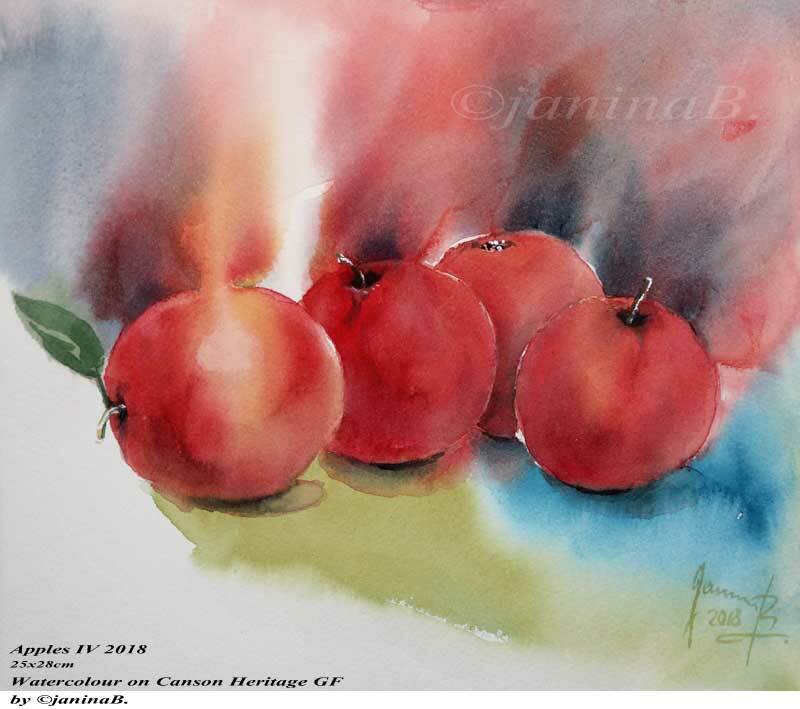 Apples II, III, IV 2018 / Watercolour by ©janinaB. 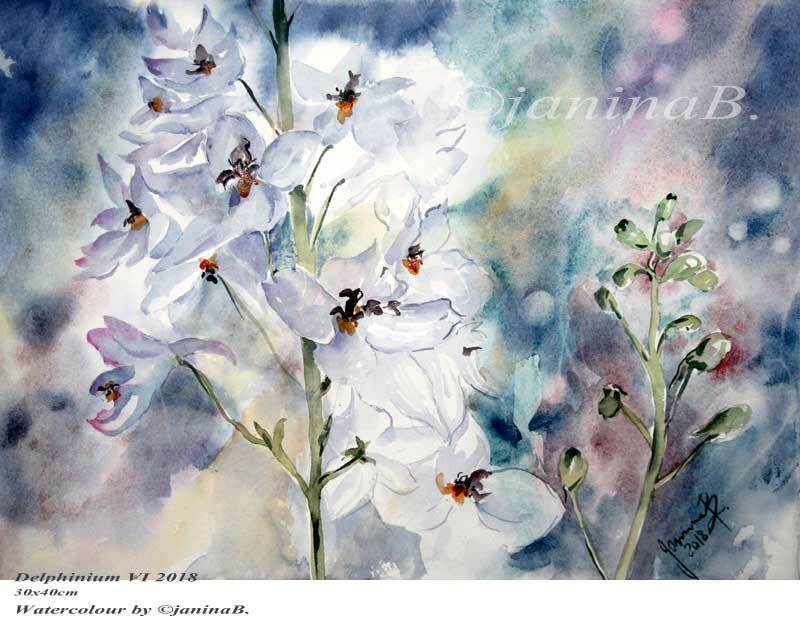 Delphinium VI 2018 / 30x40cm / Watercolour by ©janinaB. 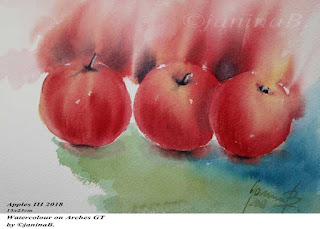 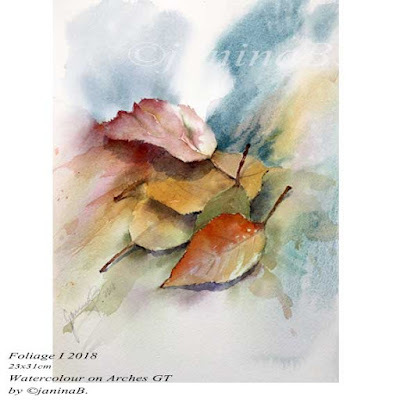 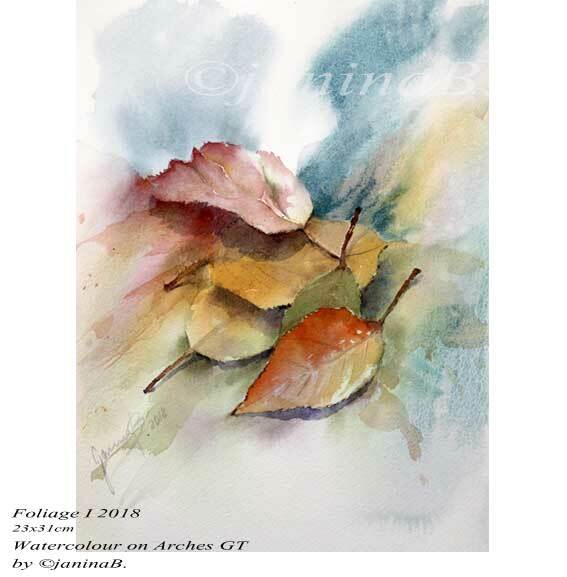 Foliage I 2018 / 23x31cm / Watercolour by ©janinaB. 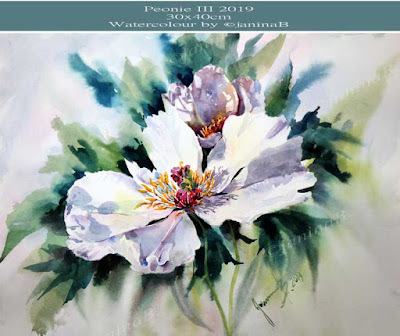 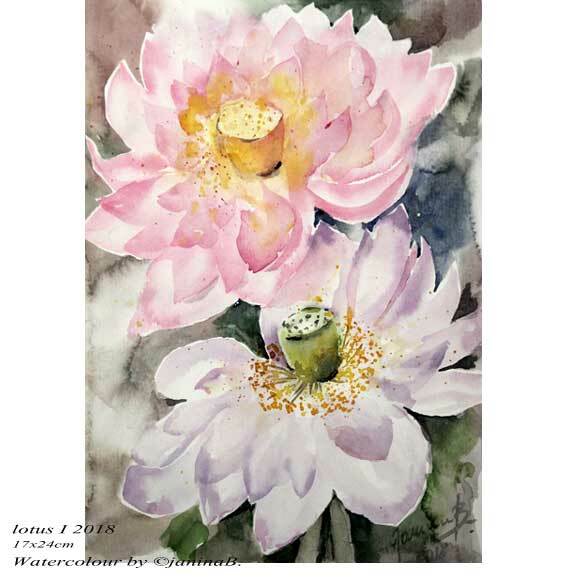 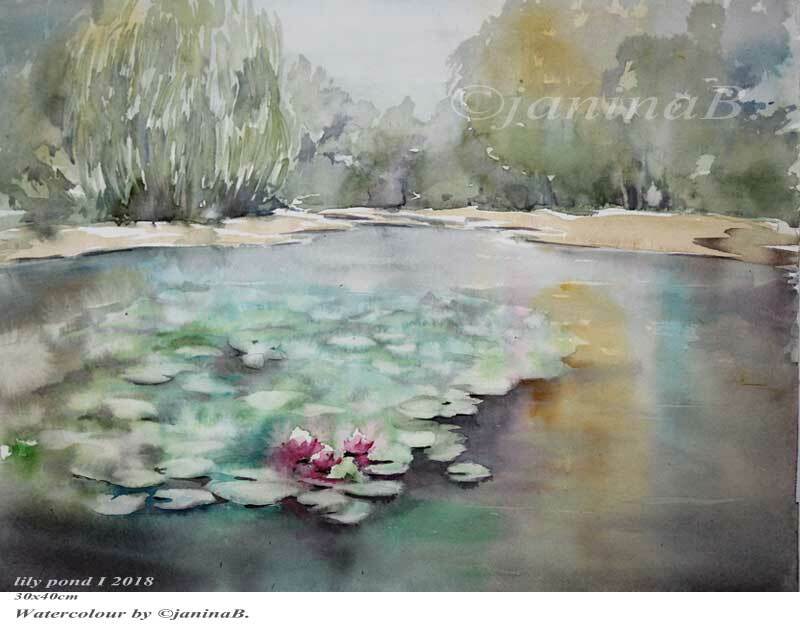 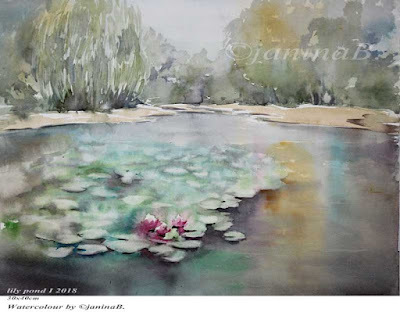 lotus I 2018 / 17x24cm / Watercolour by ©janinaB. 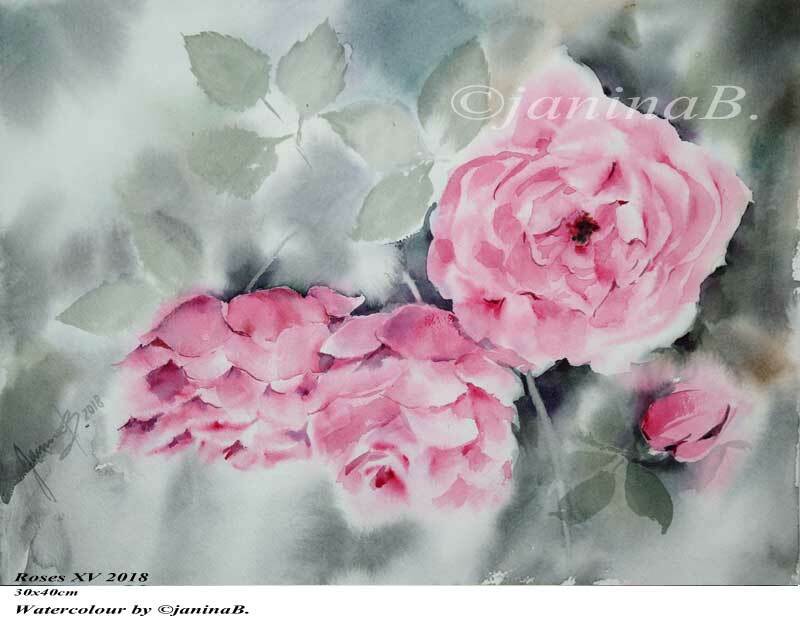 Roses XVII 2018 / 27x34cm / Watercolour by ©janinaB. 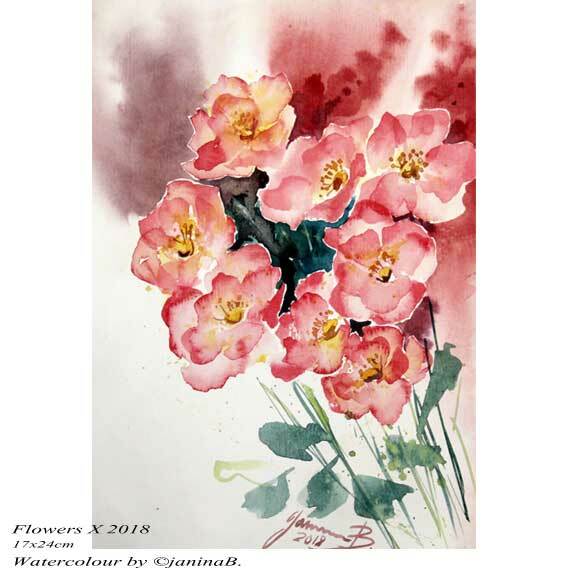 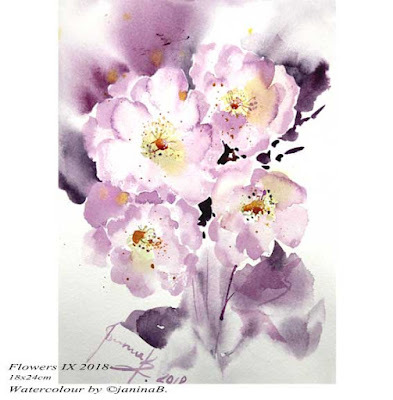 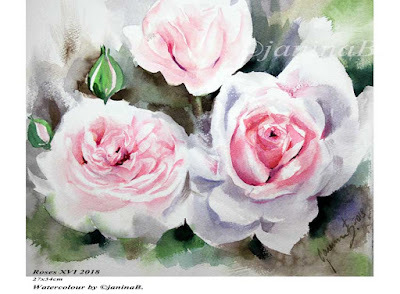 Flowers X 2018 / 17x24cm / Watercolour by ©janinaB. Flowers IX 2018 / 18x24cm / Watercolour by ©janinaB. Roses XVI 2018 / 27x34cm / Watercolour by ©janinaB. Bird III 2018 30x40cm / Watercolour by ©janinaB. 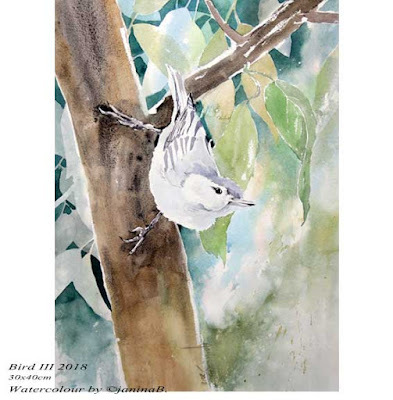 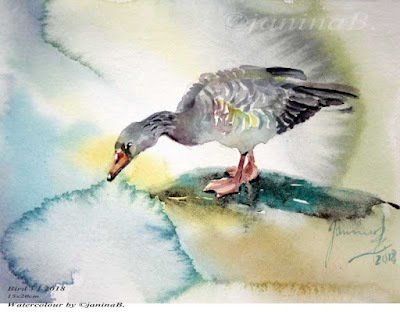 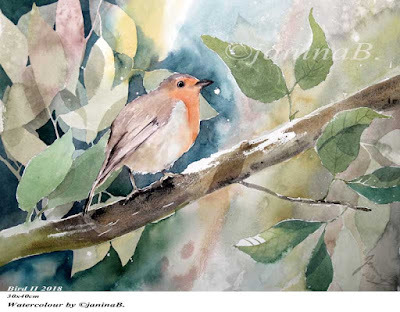 Bird II 2018 30x40cm / Watercolour by ©janinaB. 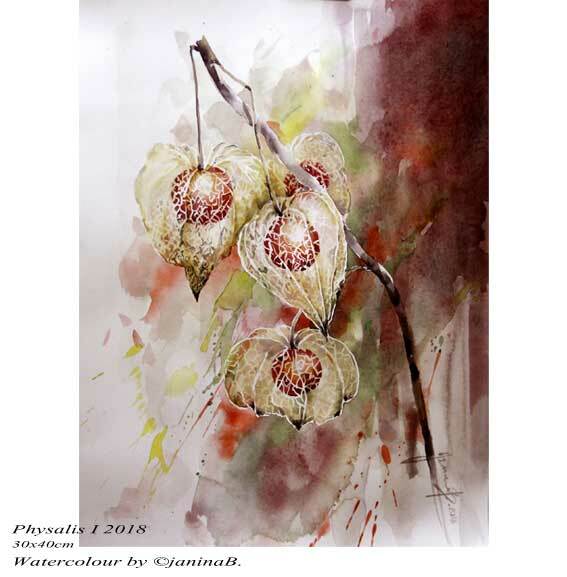 Physalis I 2018 / 30x40cm / Watercolour by ©janinaB. 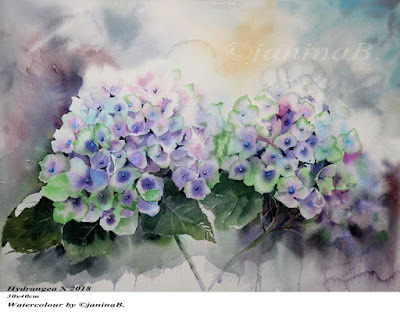 Hydrangea X 2018 / 30x40cm / Watercolour by ©janinaB. 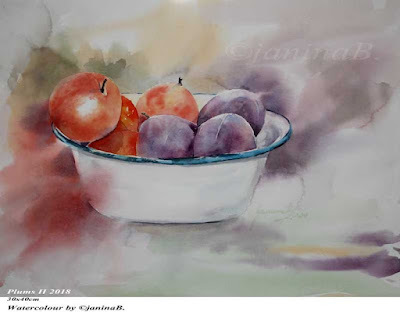 Plums II 2018 / 30x40cm / Watercolour by ©janinaB. 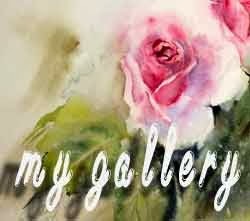 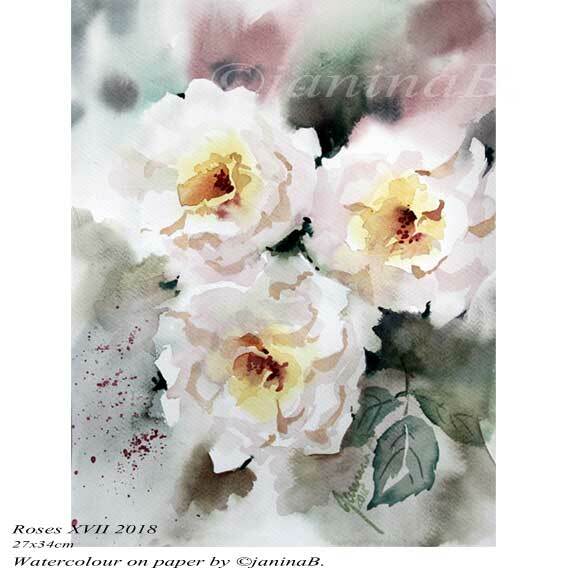 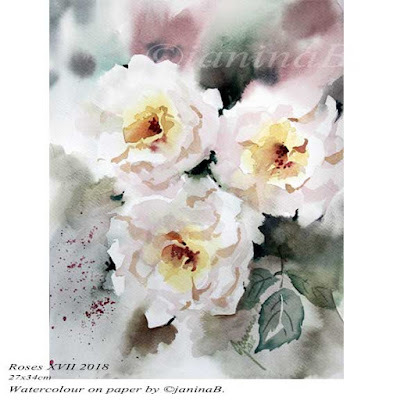 Roses XV 2018 / 30x40cm / Watercolour by ©janinaB. 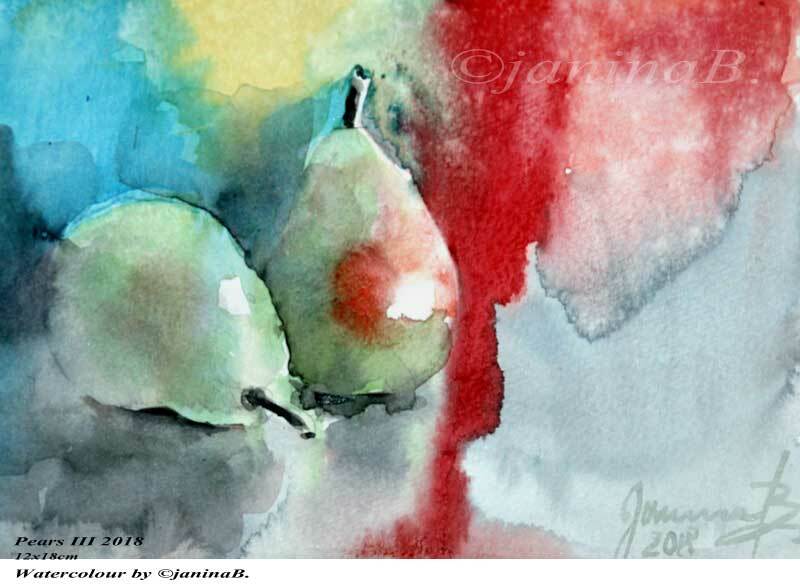 Pears III 2018 / 12x18cm / Watercolour by ©janinaB.